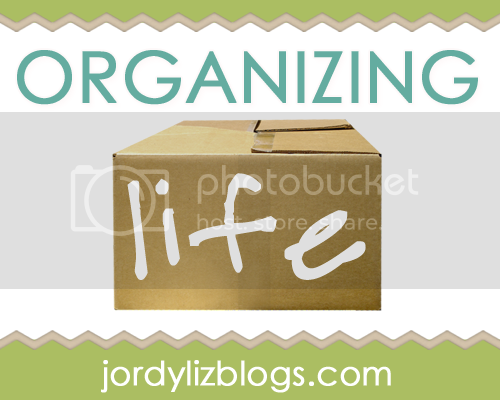 Jordy Liz Blogs: Organizing Life: Let's get organized. 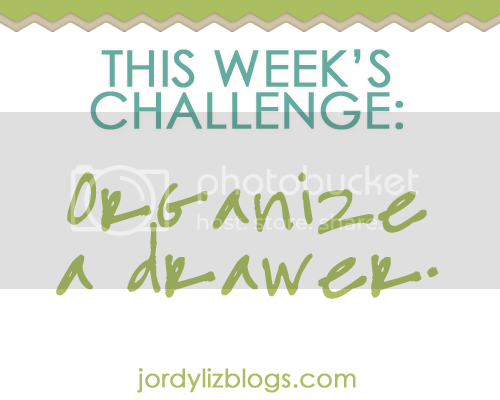 Organizing Life: Let's get organized. Life gets busy and hectic, whether we know it's coming and can brace for it or not. Plans fill our calendars, situations arise, and everything and everyone seems to demand our attention. Our home falls to the bottom of the priority list because it can. It's the one place we can walk away from at the beginning of the day and leave everything behind closed doors. And it's the one place we can come home to at the end of the day and just deal with it because we've gotten used to doing so. We do a quick pick-up of the living room by shoving everything into the nearest drawer. We put the clean, unfolded laundry into the closet and shut the doors so we don't have to deal with it right this second. We let stuff pile up in our cabinets because we can't see it anyway and one of these days we'll sort through it. We've become hoarders of books and papers and trinkets and clothes, most of which we haven't touched or used in months or, dare I say, years. When we let the condition of our home get to a point where we avoid dealing with anything that can be hidden by a closed door, we're doing a huge disservice to our hearts. It becomes easy to hide the messes until we find ourselves in the beginning stages of a cycle of not dealing with anything that can be easily pushed aside or postponed. Relationships. Work. Decisions. We're letting our hearts become cluttered with messes that are completely in our control keep from happening, even when our hearts have too many messes to deal with as it is. We deserve to walk into a house and feel at ease. We deserve to not let the messiness of life follow us into our homes, the one place that should be our haven. We deserve to let go of things that are not important to make room for what is important. With that, why don't we start organizing life? Over the next nine weeks of summer, we are going to tackle a small space each week with the hope of lifting a small burden each time we share. It's overwhelming to take it on all at once, so we're going to do it little by little. By the end of the summer, your home and your load will be lighter. 1. Each Tuesday, create a blog post with a before and after picture of the challenge given the week prior. It can be as simple as that, or you can go into more detail with tips, suggestions or struggles. 2. Then, come over here and link up so we can all revel in your accomplishments! 3. Rinse and repeat for all of June and July. I promise the challenges will be light, so just do what you can. No one is expecting our homes to turn into a spread of Real Simple magazine (although I wouldn't mind if mine did). Ready for your first challenge? You'll have a week to complete it and then you can come back on Tuesday, June 5 to link up. What's the purpose of this drawer? Based on the purpose, what should I keep in this drawer? What should I put elsewhere? Make sure to use this button on your post. Just copy and paste the code. What perfect timing for me to read this! I'm a teacher and I've just begun my summer break ::loud cheers:: ...One of my goals for the summer is to organize our home - I am notorious for "hiding" what I don't want to deal with. This post made me think about this habit in a new light - I'm so excited to start Organizing Life!